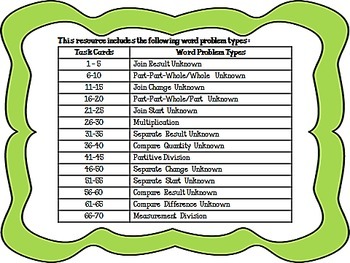 Here is a resource that is a keeper! 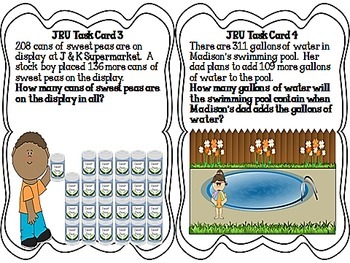 70 WORD PROBLEM TASK CARDS THAT INCLUDE INKNOWNS IN ALL POSITIONS!!!! 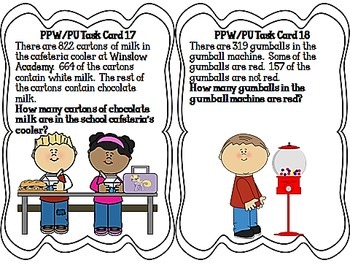 Because student accountability is a nonnegotiable component, I have provided a variety of printable student answer documents to assist with student accountability as well as assist with differentiation of assignment instructions. ALL IN A CONVENIENT ZIP FILE FOR EASY ACCESS! As teachers, we can never have too many "tools" in out teacher's toolbox. 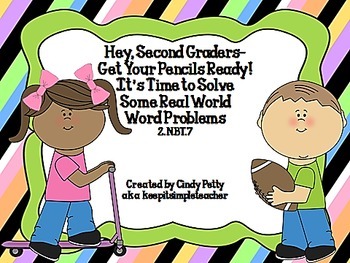 This kind of resource is excellent for math centers, independent desk assignments, meaningful engagement for early finishers, and rainy day recesses.